Add luxury to your bathroom with the Coastal Retreat Shower Curtain. 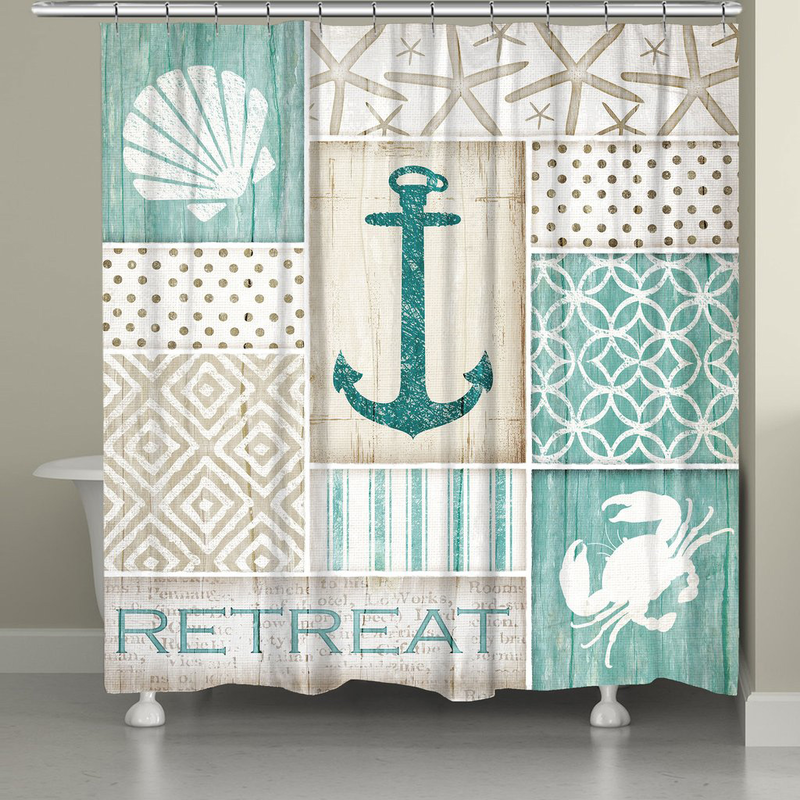 This beach shower curtain is accented with soft beige, cream and calming aqua tones that make up a collage featuring coastal-themed images, patterns and the word "retreat" for true beach style. Ships from the manufacturer. Allow 1 to 2 weeks. Cannot express ship. For more items, we ask you to spend some time to look at our whole variety of beach shower curtains at Bella Coastal Decor now.